The Orsinium Area is a region within High Rock, and borders Wayrest, Menevia, and the Wrothgarian Mountains. 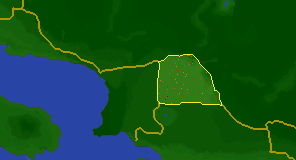 The region is populated by Orcs and Bretons. The provincial seat is the stronghold of Orsinium. This page was last modified on 28 June 2018, at 23:12.